Lesley first gained experience as a real estate attorney while an associate at Schottenstein, Zox & Dunn LPA (now known as Ice Miller LLP), where she handled general real estate transactions, including acquisitions, dispositions, real estate finance and leasing matters. Prior to joining Schottenstein, Lesley worked briefly as an associate at Ulmer & Berne LLP, handling general commercial and environmental litigation matters. In August 2011, Lesley transitioned to an in house counsel role with Glimcher Realty Trust (now known as Washington Prime Group Inc.), a large publicly traded shopping center REIT. While there, Lesley focused her attention on retail leasing from the landlord perspective and also handled other ancillary issues related to retail operations, development and finance. In January 2015, Glimcher merged with Washington Prime Group Inc., quadrupling the size of its property portfolio. 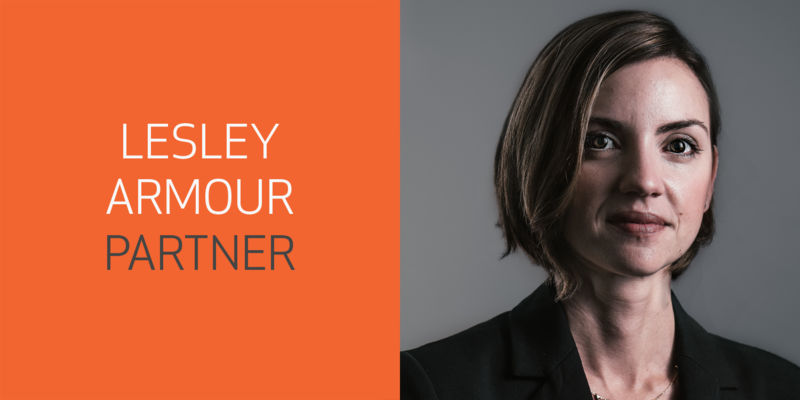 In connection with the merger, Lesley was promoted to the role of Senior Director - Legal Leasing and tasked with leading the post-merger integration efforts for the legal leasing team. Her responsibilities during this time included growing the legal leasing department, collaborating with the business units to improve efficiencies with respect to the leasing transactions and managing a team of 15 attorneys, paralegals and legal administrative assistants. In November 2016, Lesley joined KMFY’s Real Estate Practice Group as a partner focusing her practice on real estate matters, specifically real estate development, commercial lending and commercial leasing. Having worked both in a big firm environment and in house, Lesley understands what it takes to work collaboratively to solve problems and the needs of clients to run their deals efficiently and effectively.